The large sculpture cylindrical sculpture depicts playing cards almost life size, of a Jack of Diamonds and a Queen of Hearts. This whimsical sculpture has the viewer captured by a night of playing cards and enjoying life. 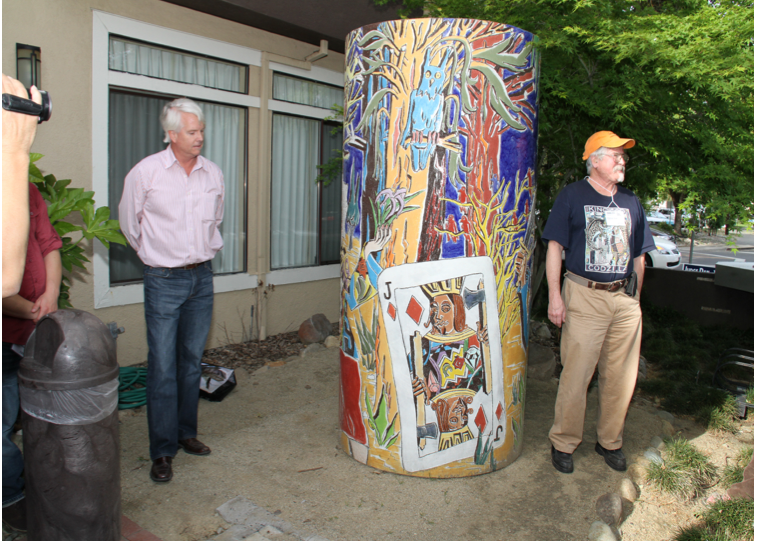 Patrick Siler’s “Jack of Diamonds and Queen of Hearts” is in front of The Aggie Inn at 1st and B Street.